Is using coral in jewellery bad for the environment? Although jewellery made with coral is undoubtedly beautiful, I have chosen not to use it in my own designs. There are many reasons for this. Even though coral is found across the globe, it is mostly found in tropical waters and many coral species are now endangered. There are ten species included in the World Conservation Union Red List of Threatened Species – those endemic to the Galapagos Islands, but there are other coral species also at risk. Many conservationists are worried that whole reefs may we wiped out, due to ocean pollution, disease, global warming and over fishing. Corals on Australia's famous Great Barrier Reef are already showing a decline in growth rates and some experts believe that it will gradually fall apart and globally reefs are shrinking by around 1 per cent each year. 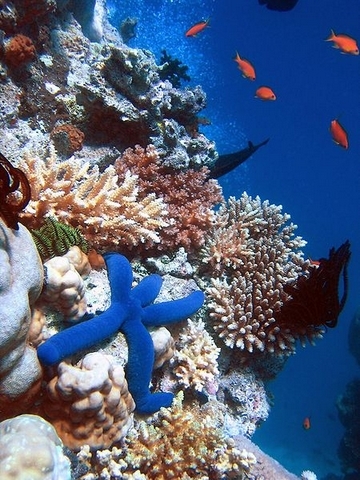 Declines in coral reefs have already had disastrous effects on the environment. The effects of the 2004 tsunami were much greater in Sri Lanka than they would have been, had it not been for the illegal removal of corals from its coastline. The same is true of the corals along the Indonesian coastlines where fish – and coral - has been blasted out of the sea with dynamite and cyanide used to stun fish in their coral homes for years. The good news is that the Wildlife Conservation Society is co-ordinating a recovery programme here and there are signs of baby corals appearing. 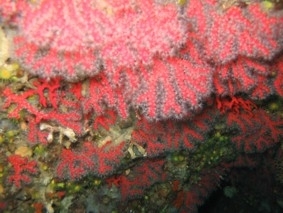 Much of the coral used in jewellery is dead coral, dyed that distinctive red colour. But the calcified remains of coral skeleton systems are the foundations upon which new coral grows – without it they have nothing to cling to. It is not just the demand from the jewellery industry that is reducing the levels of coral in our oceans – the growing popularity of keeping tropical fish in aquariums has also resulted in living corals being removed from the seas so that people can enjoy them in their own fish tanks. My own choice has been to avoid using coral at all in my jewellery. Agreed, it is a particularly lovely shade of red (though mostly dyed) – but red jasper and rhodonite are beautiful too – and I do like to use those!